We want everyone to get involved with our Waterlow Hall project and it has been a particular pleasure to meet up with some of our former staff to understand some of the history behind the project and the Waterlow Hall. Jean Middlemiss was the very first Head of Music at South Hampstead and taught at the school from 1957 - 1972. She very kindly wrote to alumnae who were at the school during that time about our project. Averil Burgess was Headmistress form 1975 -1993 and oversaw the building of the original Waterlow Hall sports hall. She is very excited about our plans for the transformation and is looking forward to ‘Taking her Seat’ in the hall. Averil kindly wrote to her former pupils about the project in March. Jean Scott was Headmistress from 1995-2001. 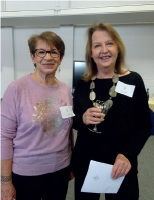 It was lovely to welcome her back to the school in March to talk about the plans for Waterlow Hall and she helped us to get back in touch with many of the former staff and pupils from her era. 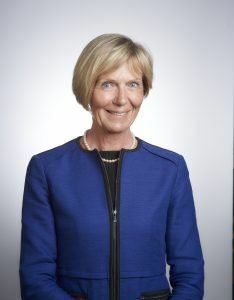 Jenny Stephen, Headmistress from 2004-2013 managed the dramatic rebuilding of South Hampstead Senior School and laid out the original plans for the Waterlow Hall. The plans today owe much to her vision for how the hall could be used in the future and we are delighted that she is helping us with our Music in the Garden event and supporting the ‘Shine a light Appeal’. Doris Hugh is familiar to current pupils and many of our alumnae. She has taught French at South Hampstead since 1998 and was Head of Sixth Form for many years. She wrote to our most recent Alumnae to let them know about the project.